If you can find them get fresh bean sprouts, they're so much better. In a large bowl combine and mix the meats, wine, soy sauce, sesame oil, salt, pepper and granulated garlic. Let marinate for 15 minutes. In a large skillet or wok add 1/4 cup of oil and preheat over medium heat. Stir fry the meat in 2 batches for about 2 minutes. When stir frying the second batch add the white parts of the green onions after 1 minute. Drain the meat and let cool. 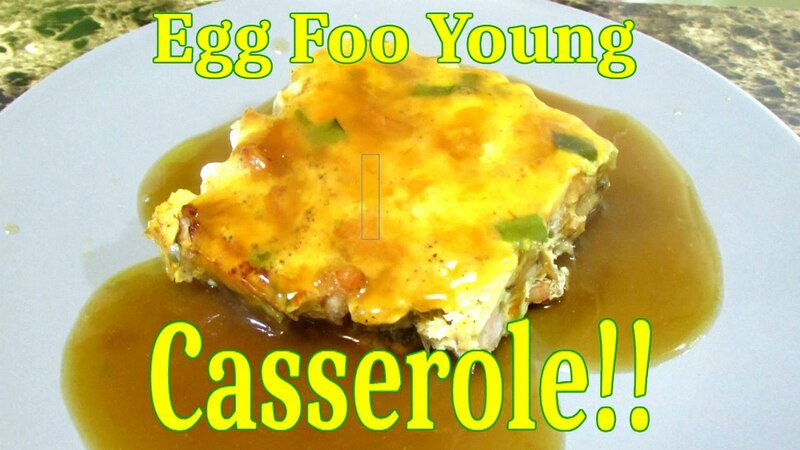 Combine the meat, eggs, bean sprouts, peas and carrots into a 9 x 13 casserole dish. Bake in a preheated 350º oven for 45 minutes to an hour or until the eggs are set in the center. 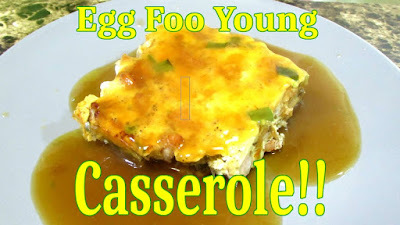 Combine chicken brother, oyster sauce and soy sauce in a sauce pan and bring to a boil. Add corn starch slurry and mix until thickened. Add more if you want thicker gravy. Serve on it's own or with rice. I' am a great fan of What are we eating. Love your dry humor! Thank you for keepink it real! Thank you very much Vonlipi I appreciate it!! I want to make this for my family, but my father is allergic to shellfish. Would the oyster sauce harm him and if so, can you think of a good replacement? You can look for vegetarian or mushroom flavored 'oyster sauce' which will be safe. Or you can simply omit the oyster sauce or add a little hoisin sauce which is somewhat similar in flavor but a little sweeter than oyster sauce.